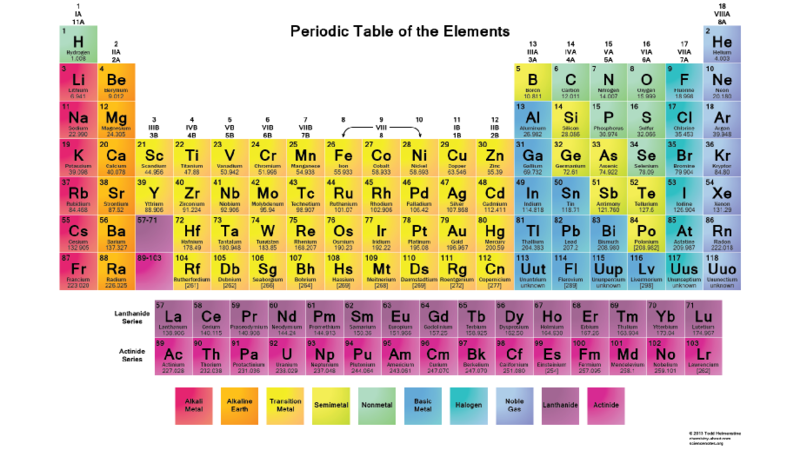 The chemical formula is made up of the chemical symbols of the elements present. You can see their symbols by looking at the periodic table. Lets look at the basic stuff first. Elements are composed of one type of atom. Oxygen is composed of 2 bonded oxygen molecules. This means it’s chemical formula is O2. The Display formula shows the amount of atoms, plus the amount of covalent bonds between them (number of lines). The two oxygen atoms share 2 electrons, thus there are 2 lines. Now, lets look at a simple compound. 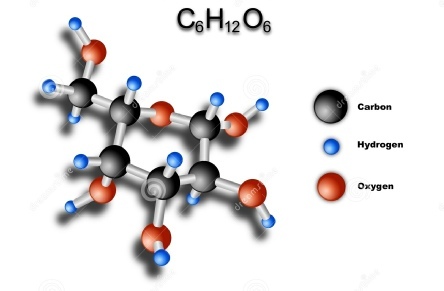 Water is a compound because it is made up of one Oxygen (O) and two hydrogen (H) which are chemically bonded. By now you have noticed the numbers after the letters. A small number after the letter tells us how much of that specific atom is in the molecule. Lets look at another compound. The chemical equation here is C6H12O6. This means there are 6 carbon, 12 Hydrogen and 6 Oxygen atoms in one glucose molecule. Now lets look at another, larger compound. 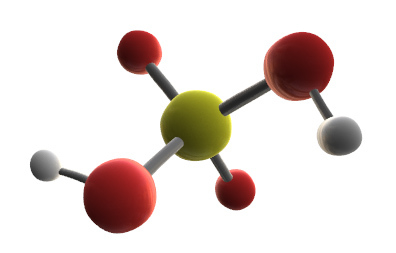 One molecule of sulphuric acid has 2 hydrogen atoms, one sulphur atom and 4 oxygen atoms. Sometimes you might see brackets in these formula. 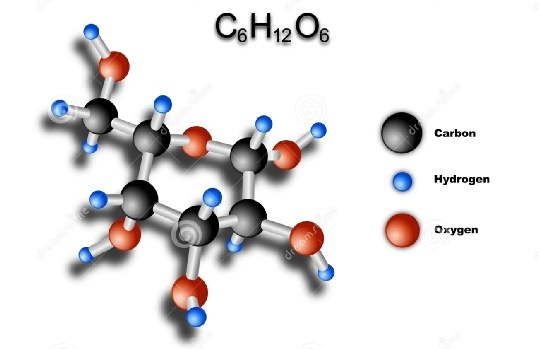 In this case the bracket tells us that there are 3 molecules of SO4. Over all, Aluminium sulfate contains 2 Aluminium atoms, 3 sulphate and 12 oxygen.